Between the next 25 and 28 of September, 30 university students selected from across Latin America will cross the final stages of the Camino de Santiago as they develop jointly, team, business ideas. They will walk the last 100 kilometers in teams of three and will face two additional challenges at the end of each stage: developing business models to challenges posed by the organization -in collaboration with partner companies as PayPal- and collaborate in the development of a manifesto. Both the activities and the course of the last stages of the Camino de Santiago are included within The Spin Way, promoted by Red Emprendia, which in turn is the starting signal for Spin2016. This is a meeting of more than 70 professionals in the field of college sports, business, culture and science that aims to combine the values ​​and tradition of the Camino de Santiago with university entrepreneurship to boost the talent of the younger. 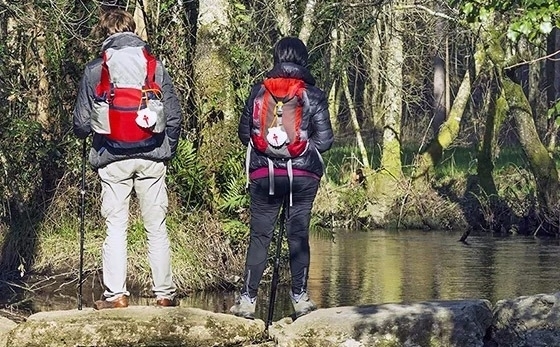 Spin 2016 will be held from 29 September to 1 October in the City of Culture of Galicia in Santiago de Compostela, where students will present an entrepreneurial project that will shape the Camino de Santiago. Esto es básicamente lo que llamaríamos "matar dos pájaros de un tiro". Es una buena iniciativa. Suerte a estos caminantes.